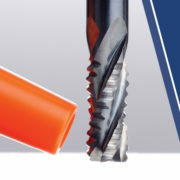 A Double Angle Shank Cutter is often referred to as the “Swiss Army Knife of Machining” due to its extreme versatility. This singular tool can be used for chamfering, back chamfering, V-groove milling, deburring, and countersinking. 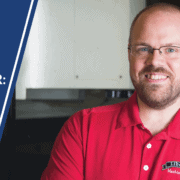 Below, we’ll learn the nuances of each operation, and why a Double Angle Shank Cutter might is an excellent tool to have on hand in any machine shop. Both in purpose and look, a Double Angle Shank Cutter is very similar to that of a single-form thread mill. Single-form thread mills are more versatile than multi-form thread mills, as they are not locked into a fixed pitch. Double Angle Shank Cutters that have a 60° angle can create internal and external 60° Unified National (UN) and metric threads. Double Angle Shank Cutters with a 55° angle can be used to thread 55° British Standard Pipe Threads (BSPT). To determine the thread sizes that various Double Angle Shank Cutters can produce, it’s helpful to consult thread fit charts, which pair appropriate cutter diameters to the thread size needed. Depending on the requirements of your chamfering operation, and the angle of the chamfer you’re creating on your part, a Double Angle Shank Cutter might be appropriate. 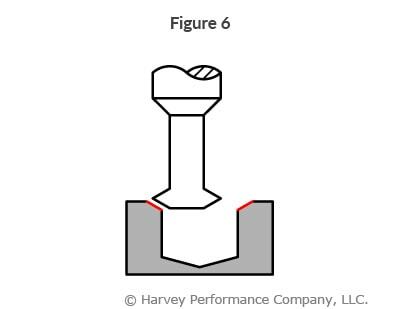 The angle of the top or bottom of the cutting face of the tool (called out below in as a B1 dimension), will determine the angle of your part’s chamfer. 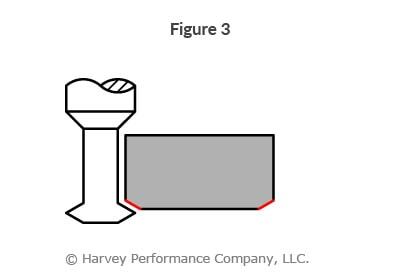 The area marked in red in Figures 2 and 3 below indicate the cutting portion for your chamfering and back chamfering (leaving a chamfer on the bottom of a part) operation. 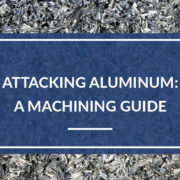 Consider a through-hole that has a burr or tear-out caused from drilling the back of a workpiece. Reorienting the workpiece and relocating the hole is time-consuming, and it may be difficult to accurately finish the hole. In a case like this, back chamfering the burred hole without changing the setup is a preferred method. 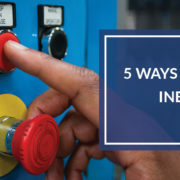 Put simply, the ability to accurately chamfer not only the top – but also the bottom of a part without needing to refasten the workpiece in your machine will save valuable time and money. For best results when chamfering with Double Angle Shank Cutters, use a stepping over technique with diminishing passes as the radial engagement increases. This strategy helps to manage the amount of contact along the angle and can significantly avoid tool deflection. A Double Angle Shank Cutter is commonly applied for machining V-groove profiles because of its cutting head, which is perpendicular to the tool centerline. This provides effective cutting action, even at a low spindle speed. 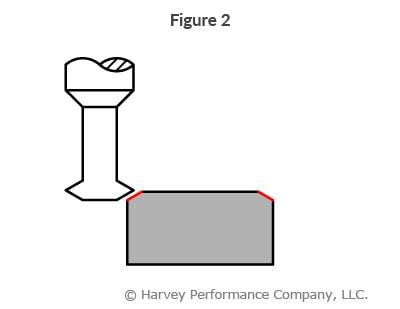 A low tip speed can lead to issues with other tools, such as Chamfer Cutters, where the pointed profile is on-center of the tool. 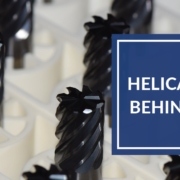 The task of hand-deburring parts can be tiresome for you, and cost inefficient for your shop. It can also lead to inaccuracies in parts that require precise dimensions. Double Angle Shank Cutters can be used to debur a part right in your CNC machine. By doing so, the process of finishing a part is made simple, fast, and accurate. Of course, ensuring proper clearance prior to machining the bottom of a machined hole is pivotal. 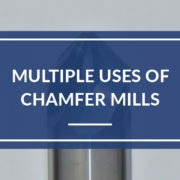 Other useful and versatile tools to have on-hand for quick CNC deburring include deburring end mills, back deburring mills, undercutting end mills, and chamfer cutters. 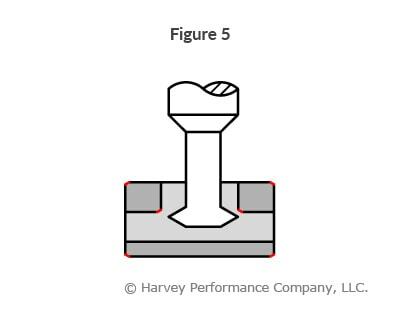 Countersinking a part is done so a screw, nail, or bolt is able to sit flush with the part surface. 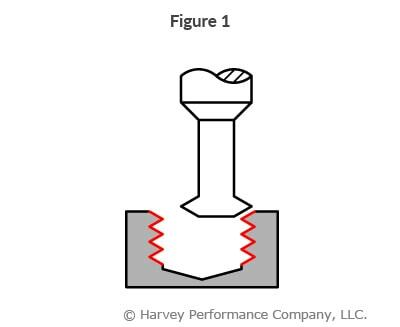 Using specialty profile tooling can help enlarge the rim of a drilled hole and bevel the sides for a screw to sit accurately. A Double Angle Shank Cutter can also perform this operation by using the bottom portion of its cutting face. Because of its ability to perform six different operations, Double Angle Shank Cutters are an ideal tool to keep in your tool carousel. In a bind, these tool forms can mill threads, chamfer, back chamfer, machine v-grooves, deburr in your CNC machine, and countersink. This versatility makes it a machining favorite and can offer shops boosted productivity by eliminating the need to flip parts, deburr by hand, or carry multiple tool forms. 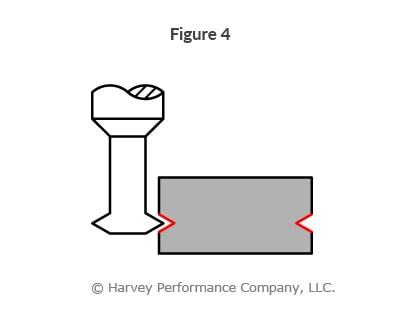 For more on Harvey Tool Double Angle Shank Cutters, Click Here.